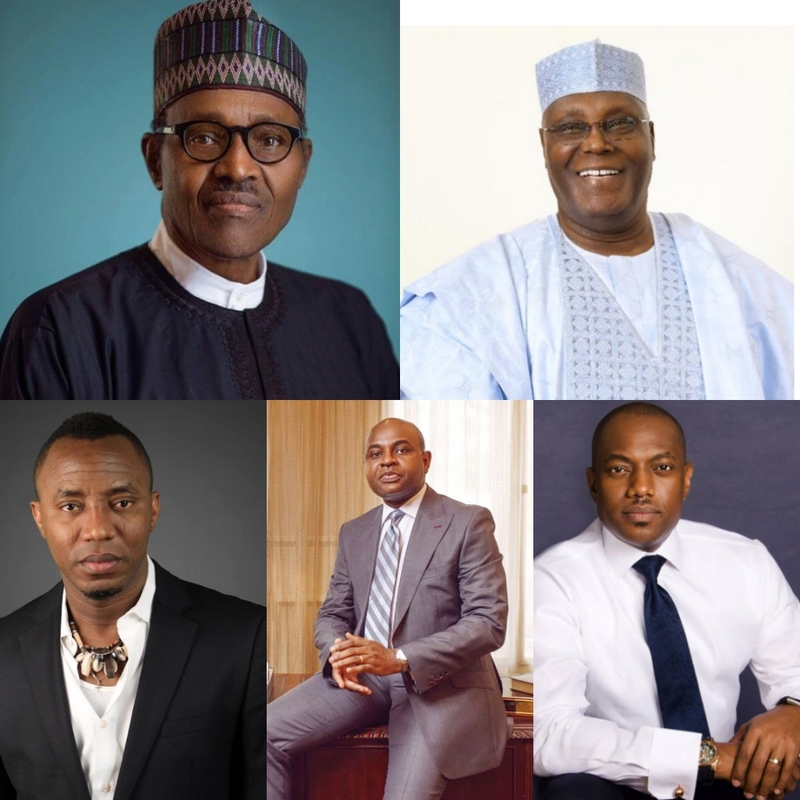 Nigeria decides 2019: Who will it be? - Meet My Busy Mind. Another round of Presidential elections is upon the most populous black nation on earth. 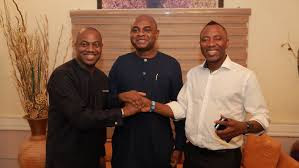 And as always, it is inundated with intrigues and a lot of uncertainty, with both local and international permutations adding to the frenzy. Eerily, Nigeria has once again managed to find itself in a 2015-type situation. Between the deep blue sea, and the deep blue sea. If you closed your eyes, you could almost believe that both top candidates were one and the same. Same ethnicity. Same religion. Same members of Nigeria’s aged ruling class. Same long-time players in Nigeria’s politics. Literally cut from the same cloth. 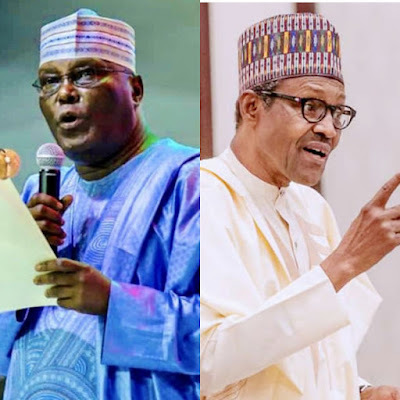 The one differentiating factor between both deep blue seas however is that one of the candidates is an incumbent, so that voting him back in would be an affirmation of his present administration. Going by the plethora of issues Nigeria has witnessed in the past four years however - from escalation of herdsmen killings, to hunting down opposition members for "corruption", blatantly defiant nepotism in appointments, and the unilateral removal of Nigeria's Chief Justice - the incumbent's tenure is faaaaaar from any applause. This is coupled with widespread concerns about him totally having his wits together, what with serial media gaffes - suggestive of some level of amnesia (or at the very least the absence of conscious awareness) - and the fact that the first two years of his administration was spent nursing him to health, whilst shuttling him back and forth a UK hospital on taxpayers' funds. This is not to say that the other deep blue sea is without blemish, as there have been widespread (albeit unproven) allegations of his corruption, and he is equally a dinosaur, who should be retiring on the fruits of his hard-work over the years while letting the younger generation rightfully take charge of their destiny. Now, even though a prominent number of the other contestants are notably younger (and quite frankly, better qualified), unfortunately, these younger candidates cannot easily boast of adequate national structures to individually secure sufficient votes for the win, at this time. And efforts to enable one of them emerge as their collective candidate fell through. Hence, the deep blue sea, and the deep blue sea. But the real power of choice remains with the people: the masses. And this is why all who are eligible to vote are encouraged to go and vote. Irrespective of who you decide to vote, it is important to ensure that that right is exercised and guarded. Remember however that no other human is worth your life. Hence, shun all forms of violence. 1. Water: The Weather forecast predicts a scalding 37 degrees on Saturday. Stay hydrated! 2. Light snack: It is not time to pound yam, and cook Ukwa. Just take something light to keep you from being dizzy. 3. Handkerchief: You're bound to be sweating like an Easter chicken. You'll need this. 4. A face cap and/or Sunshades: Need I say more? 6. Your Permanent Voters Card: WHY WOULD YOU FORGET THIS??? 7. Your conscience: Remember that it is not just about you, and the N1,000 bread some political parties will try to buy you with. This is about the future of your children: both born and unborn. In addition, do not forget to thumb press for the legislative seats as well. Do a bit of research, and choose the most capable candidates. And not the ones just at the legislative seat to earn their "pension". We do not have time anymore for faffing around. We wish Nigeria a peaceful 2019 elections. May the best (or at the very least, the better) persons win. At least, you're voting. That's what matters!